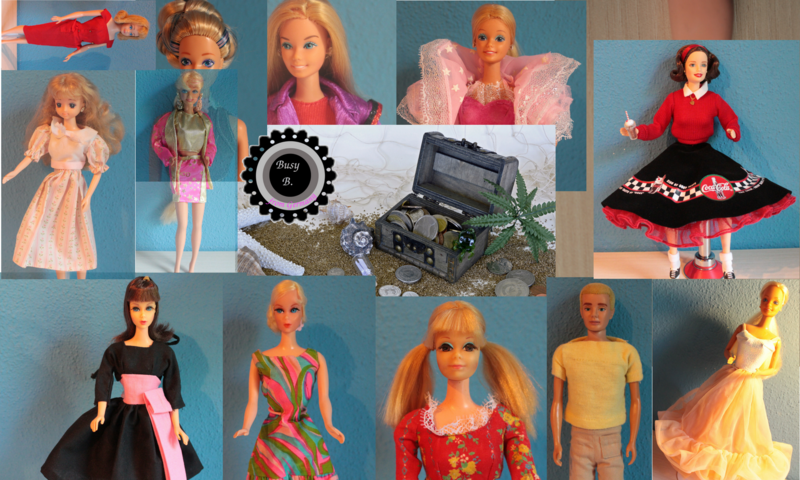 I had a lot to do in the last weeks and I haven’t bought very much new Barbie dolls. I recently found this one and I thought she would fit perfectly in my collection. I always wanted her but in the last year she was hard to find here in good old Europe. Anyway I thought she would be the perfect X-mas present for myself. 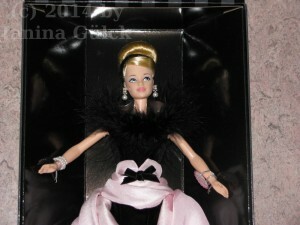 And here she comes … my Grand Premiere Barbie doll. She was the first Barbie doll released for the Official Barbie Collectors Club back in 1996. I like the late Superstar Era very much since all my childhood dolls were released in the 1990s. In my opinion this face is one of the most beautiful faces that I have ever seen. It’s no question that it’s my own personal taste. I like simple dresses when the pattern is good.